This is a free blogger template powered by twitter bootstrap. 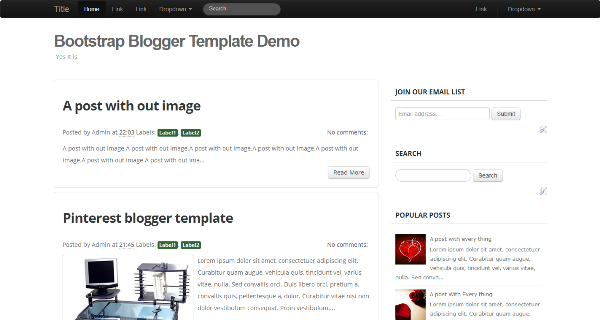 This is just a basic blogger template using popular twitter bootstrap. Stay tuned and subscribe to get our next releases. Happy to hear that you liked it. We are coming with many more templates in future. You can follow download link in article, If you have any difficulties for downloading this template, let us know about it. I like the template representation. I want some more colorful template for blogger. I will be thank for you Admin, if you can make color template also. ok, we should come with more cool blogger templates. Let me try it. Hope it will be satified.